After all the research, the school rankings and the flurry of acceptance letters, the first glimpse of college life for thousands of students is still through orientation programs. Throughout the summer, as many colleges and universities have been making their introduction to a new class of freshmen, the students have themselves been learning about their new campus; what to expect and what is expected of them. 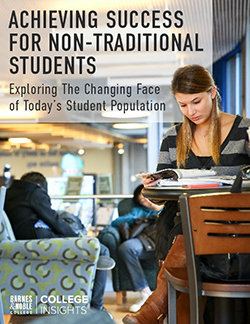 More than 90 percent of campuses now offer orientation programs, according to a National Orientation Directors Association (NODA) survey, and although they vary in structure from informal meet-and-greets to intense classroom sessions, attendance rates are universally high — between 80-90 percent. One group paying particular attention during such programs is a segment that has no intention of studying on campus: parents of new freshman. At Tennessee Technological University, also known as Tennessee Tech, the staff and administration were busy this summer with a series of two-day orientation sessions running throughout June and July. “Our program is called SOAR, Student Orientation Advisement and Registration,” explains Allen Mullis, Interim Director, Orientation & Student Success at Tennessee Tech. “The program is designed for all incoming freshmen students and was created to help them transition to college, but in the decade or so since we’ve been running these sessions, we’ve come to recognize that parental involvement is key to that process,” he says. Parents can present varying degrees of college wisdom that they can pass onto their sons and daughters. Some were once college freshmen themselves, although that experience might have been 30 years ago. Others may have been through a more recent orientation program with an older child, but many are parents of a first-generation student — the first family member to attend college — and the learning curve can be steep. “It’s easy to be overwhelmed,” agrees Mullis, “and we’ve transitioned our program to try to look at it through the lens of what information we need to give the students now, and what we can give them in the fall.” During orientation, students are introduced to Student Orientation Assistants, mentors who build a relationship with students and their parents, and guide them through the program, in addition to being a resource when they return to begin classes in the fall. Freshmen also learn about financial aid, scholarships, campus life and policies, meet with academic departments, and register for classes. Store Manager Greer Hallmark assists a student in the Tennessee Technological University Bookstore. Typically, parents have concerns about living on campus, health and security issues, and student fees, while their children might be more focused on the specifics of campus life. Mullis says a key part of orientation is helping students and parents identify some of the key campus resources they’ll need in the fall, and one of those resources is the college bookstore. During orientation, the bookstore offers a parents’ lounge designed to encourage freshmen and their parents to see the bookstore as a comfortable, inviting meeting place while students register for classes. Greer Hallmark, who manages the Tennessee Technological University Bookstore, also provides an in-store textbook ordering kiosk where freshmen can get an early start on ordering their course materials. Students also have the use of terminals set up in the store that allows them, with course schedules in hand, to order their books on the spot. “Even if they’re not quite ready to get their textbooks, we take them through the options of the kinds of books they’ll need, the ordering process and all the available choices such as renting, when it’s the best option,” she says. In this way, students’ books can be boxed and ready for them to pick up on Great Move in Day. “Parents and students have different questions about their course materials,” Hallmark points out. “They might have anxieties about costs or wonder if the professor actually uses that specific title, and we can address all of those concerns with both parents and students together while we’re going over their course schedules,” she adds. 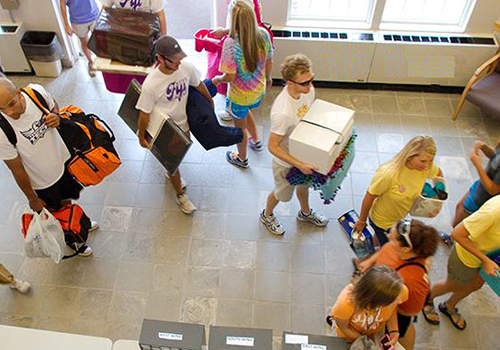 Incoming freshmen move their belongings into a dorm on Great Move in Day on the campus of Tennessee Tech. 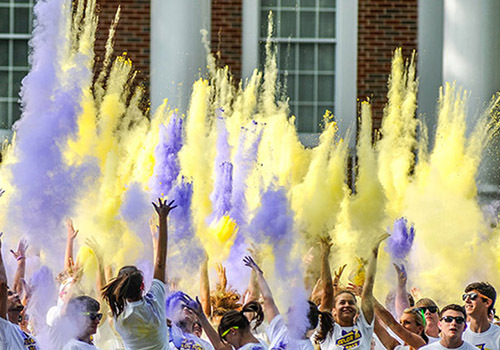 As Tennessee Tech prepares for Great Move in Day on August 21, Mullis is confident that the day will run smoothly. “It can be hard to mold something this big, tailored to the level of each student or parent,” he says, “but we’ve learned to develop a program that allows us to know who’s focused on what issues, and we can cater to that. It’s a constantly changing and evolving information process, and we want our students and parents alike to get the best possible outcome of their four years at Tennessee Tech,” he adds.